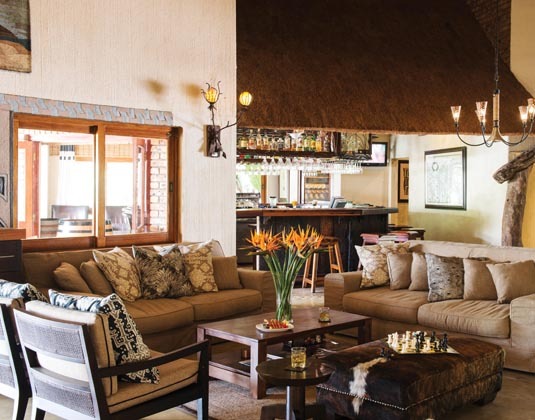 This relaxed, informal lodge is set on the banks of the Sabie River amongst lush indigenous gardens just 10 minutes drive from Kruger National Park. 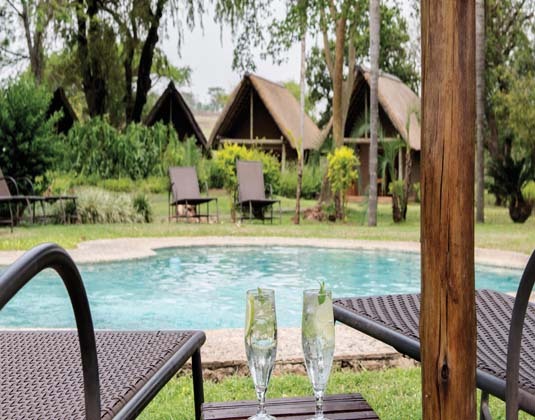 Capturing the true spirit of Africa, Hippo Hollow offers comfortable accommodation in unique thatched garden and river chalets along with picturesque views. 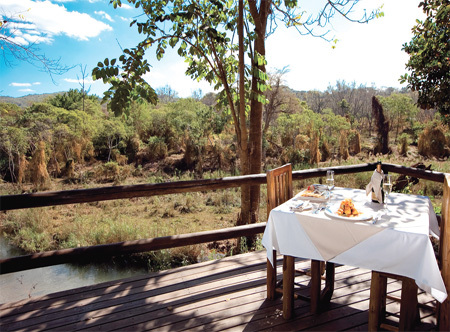 After a day of game drives and exploring the beautiful Lowveld, Hippo Hollow offers the perfect respite with lush gardens, a river, dams and two swimming pools. A great value option. 35 minutes from Nelspruit/Mpumalanga airport. Open vehicle safaris into the nearby Kruger National Park available. Please ask for details. 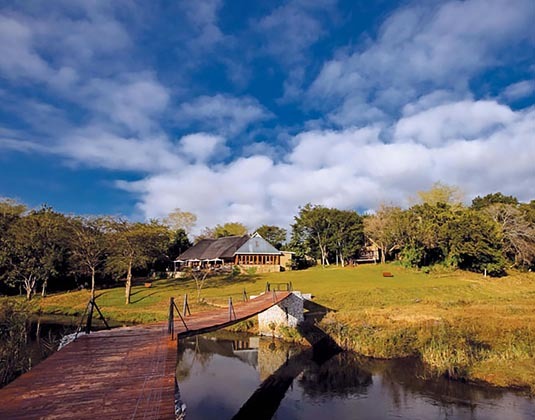 : If you combine a stay at two Hollow Hotels (Hippo Hollow, Knysna Hollow or Cape Town Hollow). Minimum two night stay at each property.